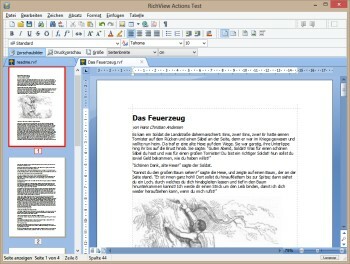 TRichView is a set of native Delphi components for displaying, editing and printing hypertext documents. The components support various character attributes (fonts, subscripts/superscripts, colored text background, custom character stretching and spacing, custom drawn text). RichViewActions are translated to about 30 languages, and offer original high-quality toolbar images. 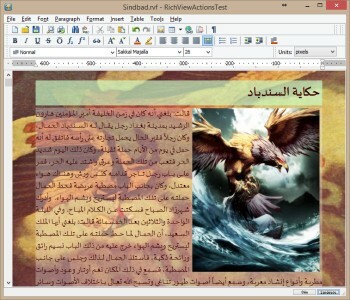 ScaleRichView is a set of components for WYSIWYG editing: you can edit documents in a page-view mode, so you can see pages as they will be printed. 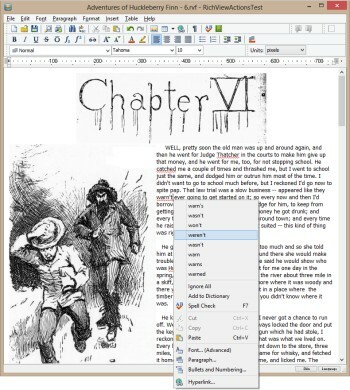 You can edit (in WYSIWYG mode) the main document, headers and footers (including special headers and footers for the first page and odd/even pages), footnotes and endnotes, text boxes. ScaleRichView includes a special set of controls (SRVControls) designed specially for insertion in its documents.